Onstwedde (Dutch pronunciation: [ɔnstˈʋɛdə]) is a village in the region of Westerwolde and part of Groningen in the Netherlands. It is located in the municipality of Stadskanaal. 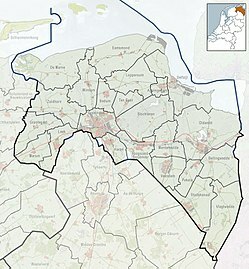 Onstwedde was also the former name of the municipality of Stadskanaal, until 1969. J. Kuyper, Gemeente Atlas van Nederland, 1865-1870, "Onstwedde". Map of the former municipality, around 1868. This page was last edited on 25 December 2017, at 12:46 (UTC).